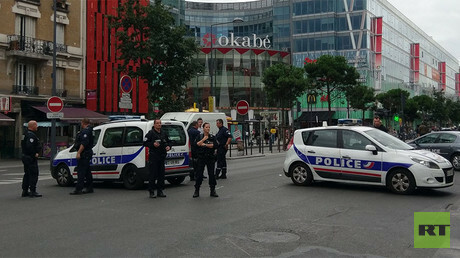 Two men who were arrested following the discovery of explosive materials and components at an apartment in a Paris suburb of Villejuif wanted to make a bomb to commit a terrorist attack, Paris’ prosecutor has said. “They had agreed to commit an attack on the [French] territory to take revenge on the coalition but they had not worked out any specific plan to date,” Francois Mollins said at a news conference Sunday, as cited by Reuters. The prosecutor added that one of the suspects admitted the two considered attacking soldiers who were deployed to locations deemed vulnerable for the terrorist attacks. 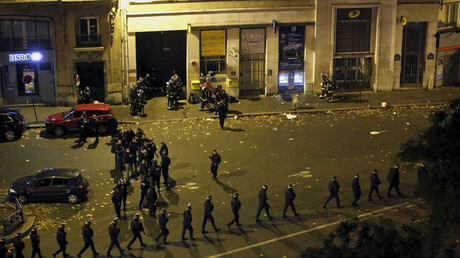 The plot was uncovered as part of Operation Sentinel that was launched following the November 2015 Paris attacks and is part of the ongoing state of emergency. Both suspects admitted that they wanted to join Islamic State (IS, former ISIS/ISIL) and leave for Syria or Iraq as early as in 2015 but they could not because of a “lack contacts and financial means.” The pair added they were planning to carry out an attack in the name of the terrorist group. The two suspects planned to make some 10 kilos of TATP, or triacetone triperoxide, an explosive compound that can be made using readily-available ingredients, including nail-polish remover and household bleach, Mollins said. One of the suspects identified as Frederique L, 37, was “in direct contact” with Rachid Kassim, a French jihadist, who joined IS and left France to fight in Syria and Iraq. Kassim, who was killed in a US airstrike in February, is suspected of being the instigator of several terrorist attacks on French soil, including the double murder of police officers in Magnaville in June 2016 and the attack on the Saint-Etienne-du-Rouvray church in northern France. On Wednesday, 105 grams of TATP were accidentally discovered in an apartment located in Villejuif along with a liter of sulfuric acid, a liter of hydrochloric acid as well as 8 liters of acetone and a bottle of hydrogen peroxide. Mollins said “the substances discovered at the scene could be used to produce between three and four kilos of TATP.” Investigators also found components needed to make a detonator, including wires, electric batteries, match heads and bulbs from Christmas wreaths. A USB device containing videos showing a series of explosives tests on the terrace of the Villejuif apartment raided by the police was also found at the scene. Islamic State propaganda videos on a computer belonging to one of the suspects and leaflets with inscriptions in Arabic were also found in the apartment. Frederique L, born in 1980, converted to Islam in 2008 and was radicalized around 2015. He was previously known to police as an Islamic State sympathizer, Le Parisien reports. The second suspect was identified as Ali M.-R., 36, a Franco-Algerian national who owned the apartment where the bomb making materials were found. On Sunday, investigators also discovered 11 liters of acetone, sulfuric acid and 83 liters of industrial pipe clearing liquid in a garage belonging to Ali M.-R. Both men were charged with terrorism-related activities; attempt to commit one or more crimes; as well as with manufacturing, possessing and transporting explosives. 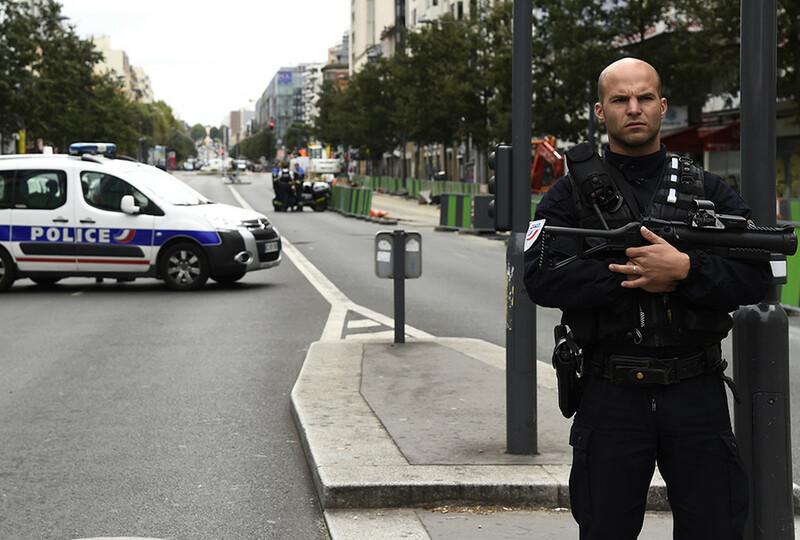 A third man, identified as Ichem L., 47, who was also arrested Wednesday following the discovery of the explosives, was released without charge, Le Parisien reports. France is in a state of emergency following a series of deadly terrorist attacks, including a set of coordinated strikes by IS militants across Paris on the night of November 13, 2015, which killed 130 people. In July 2016, the French southern city of Nice was hit by another major terrorist attack, in which a lone-wolf terrorist drove a 19-ton cargo truck into crowds of people celebrating Bastille Day on the Promenade des Anglais. There have also been a number of smaller attacks, most recently a shooting on the Champs-Élysées days before April’s presidential election, which left one police officer dead and three others injured.